Carole's Chatter Blog Tips: Get started with Bloglovin' right now! Ok, it's official - I am a complete convert to Bloglovin'. I thought I would never recover from the imminent loss of Google Reader - but what do you know - I like Bloglovin better! It was easy to sign up and very easy to transfer my Google Reader blogs over to Bloglovin. Everyone needs to do this (with Bloglovin or someone else) - within the 3 weeks left until Google Reader disappears for ever. It is very easy to keep up with blogs you follow - I have put them into different folders so I can quickly go to want I want. Whereas with Google Reader I never seemed to catch up I am now finding it much easier to manage. So don't delay - make the change - you won't regret it. Thanks for this. Reader used to irritate me and I found that my personal blog roll was better. 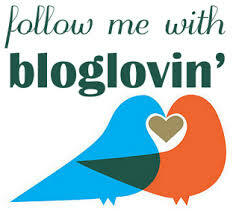 I will have a look at Bloglovin though in case Google decide to abandon the personal roll as well. Follwing on BlogLovin :) We're on there too!